Born and raised in Scarborough, Ontario. Her interest in art was evident at a very young age. 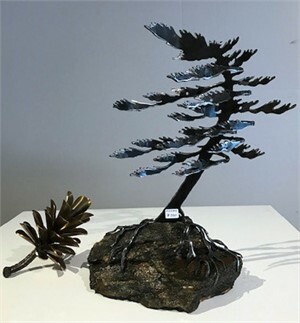 This interest led her to a vocational arts high school and on to David Thompson University in British Columbia for Fine Arts. 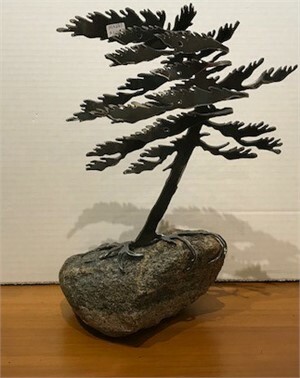 After completing a design course in London, Ontario Cathy began to work as a design consultant and has won numerous awards with Landscape Ontario. Cathy’s art has a distinct woodland flavor. 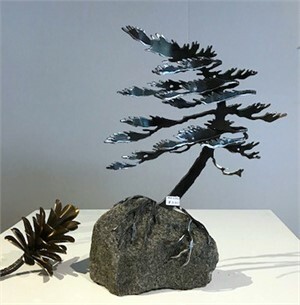 She creates unique metal sculptures depicting nature and all its wonder - for home or garden. 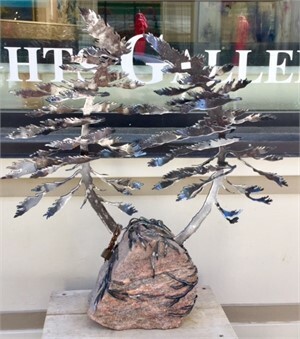 Her work on slate has become very diversified and she is now including copper, aluminum and cedar in her pieces. Chalk pastel is the main medium as it marries so well with the texture of the stone. 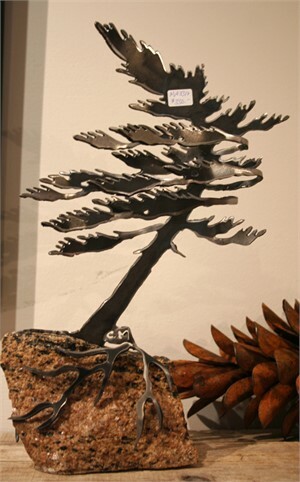 Canadian wildlife being Cathy’s main inspiration, her metal pieces portray nature with a somewhat humorous look. 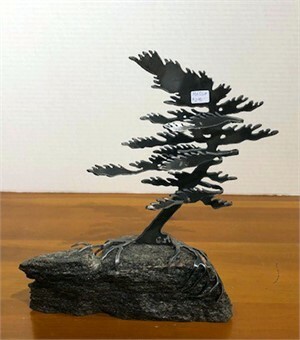 “I find the slate to be an amazing medium to work with. Some times I will have the inspiration for a piece before choosing the stone and other times the slate itself will dictate what I’ll create”. Her subject choice is a reflection of our surroundings. 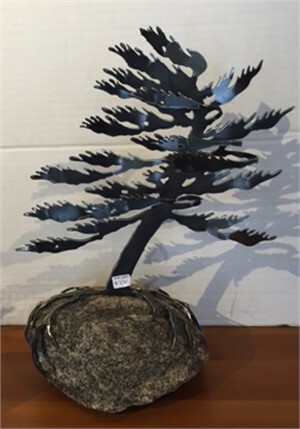 Cathy’s metalwork is a direct reflection of her mixed media background. Born and raised in Scarborough, Ontario. Her interest in art was evident at a very young age. 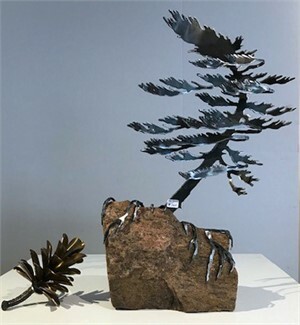 This interest led her to a vocational arts high school and on to David Thompson University in British Columbia for Fine Arts. 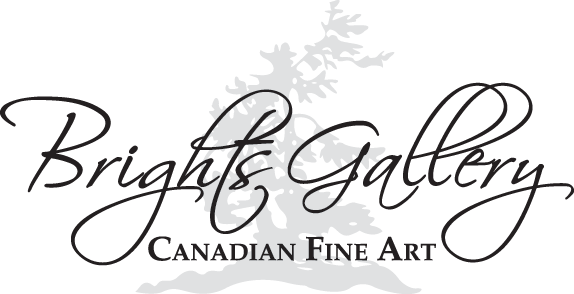 After completing a design course in London, Ontario Cathy began to work as a design consultant and has won numerous awards with Landscape Ontario. Cathy’s art has a distinct woodland flavor. 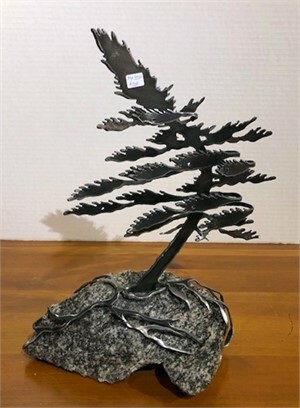 She creates unique metal sculptures depicting nature and all its wonder - for home or garden. 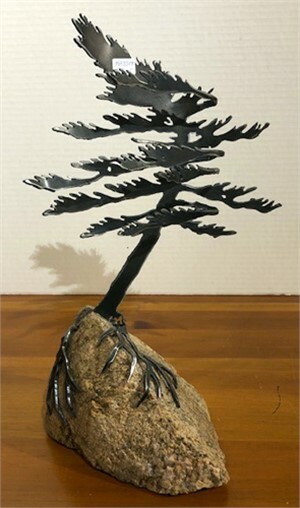 Her work on slate has become very diversified and she is now including copper, aluminum and cedar in her pieces. Chalk pastel is the main medium as it marries so well with the texture of the stone. 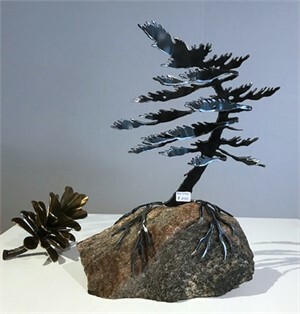 Canadian wildlife being Cathy’s main inspiration, her metal pieces portray nature with a somewhat humorous look. “I find the slate to be an amazing medium to work with. Some times I will have the inspiration for a piece before choosing the stone and other times the slate itself will dictate what I’ll create”. Her subject choice is a reflection of our surroundings. 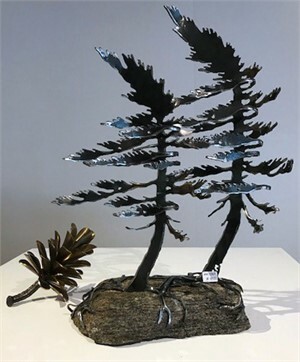 Cathy’s metalwork is a direct reflection of her mixed media background.